Huge savings! - The scrub uniform by Adar features a double patch pocket that becomes the focal point of this trendy short sleeve top. 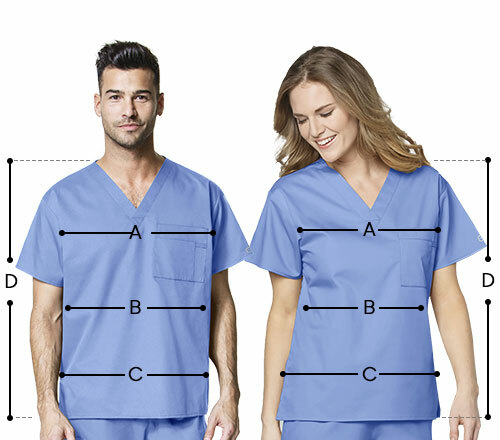 One scrub tunic that is always up for the grab is this snap front medical scrub from Adar. 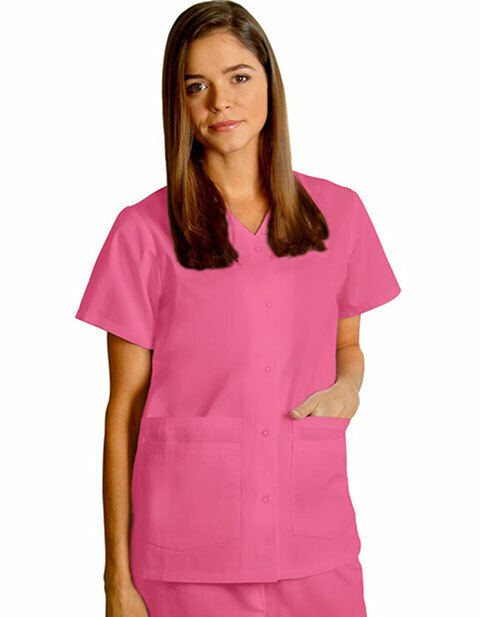 It has a detailed stitching along its v-neckline that adds pizzazz to a classic scrub top. What makes this unique is that it’s not a pullover style like the usual scrub top but rather it has a snap-front closure that really looks neat. Grab one now while it still lasts. The snap closure and the stitching details along the v-neckline ensure that the top sits nicely.